Agrobiodiversity@knowledged aims at generating and sharing evidence and insights. 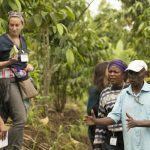 At the heart of the programme is a global knowledge and experience community of organisations working on agricultural biodiversity with millions of farmers worldwide. Markets are a key entry point to scaling up practices that build on agricultural biodiversity. PELUM’s work demonstrates how testing and the analysis of different marketing models has led to the development of a new marketing approach. Most economic activities in the rural areas are related to the region’s biodiversity and to the services this biodiversity provides. Although many of these activities contribute to the loss of this biodiversity, a number of them have a positive effect, while at the same time providing for higher incomes or economic profit. 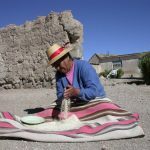 The generation of incomes or profits, at the same time, can have a large influence in the development of new initiatives that contribute to the conservation of a region’s biodiversity. 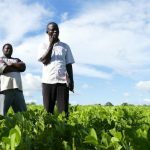 PELUM, or Participatory Ecological Land Use Management, is a network of more than 230 civil society organisations, representing ten countries in East, Central and Southern Africa. Since it was founded in 1995, it has worked with small-scale farmers in the promotion of ecological land use practices as a way of empowering communities and simultaneously reducing the loss of the region’s biodiversity. Working together with the East and Southern African Farmers Forum (ESAFF), we developed the PESA Agro Enterprise Marketing Model (while the word “pesa” means money in Kiswahili, the title takes the “P” from PELUM and “ESA” from ESAFF). Various marketing models were selected and looked at in detail in a consultative process involving the ESAFF farmers and the PELUM extension staff, comparing them with the “theory” as presented in, for example, the FAO Farmer Business Schools model. Participants in four different countries (Kenya, Uganda, Tanzania, Rwanda) carried out a study of these different marketing models, paying attention to the role played by different stakeholders and carefully taking into account how each case succeeded in helping farmers market their products. Results were shared in a meeting in 2012 in Kigali, from where a task force took the assignment of developing a proposal. The group came up with the “PESA marketing model”. The model embraces a 6-stage process that encourages farmers to interact with the market through a “learning by doing” approach, engaging with the different stakeholders and developing skills in a step-by-step way. In short, these steps include (a) the formation or strengthening of a group, (b) the introduction of marketing and business concepts, (c) the identification and prioritisation of market opportunities, (d) the identification of potential investors, (e) the development of a business plan, and (f) the provision of (and access to) specific services. Following the same “learning by doing” approach, we started a pilot project to try this model in the field – and learn from its implementation. This was planned for two years, after which all the PELUM member organisations will introduce it in order to facilitate the commercialization processes of their members. The lessons will be applied depending on the product and context of marketing. Beekeeping is as a good example of an economic activity that, while resulting in high-profits, also contributes positively in terms of a region’s biodiversity. Farmers in Kenya, for example, prefer to let the bees feed from natural sources and not from sugar syrup. Farmers also prefer their bees not to travel long distances to look for food, since they easily get tired or lost after travelling far. So they have deliberately planted a diverse selection of trees, shrubs and flowers in the areas where the bee hives are kept. Some prominent varieties of bee forage trees, shrubs fruits and flowers that have been propagated include Croton spp., Acacia spp., mathenge, neem, sisal, Aloe vera, citrus trees, mangoes and bananas, and also crops such as millets or sorghum. Most of the shrubs or trees would have otherwise been cut down to make charcoal – especially the Acacia trees which can be sold for a good price. The community is also keen on adding more tree and shrub species that are found to be of medicinal or therapeutic value in their natural state so that they serve a double role – for the bees and the community members. Located in the district of Baringo, in the Rift Valley province in western Kenya, the Kapkuikui Livestock Self Help Group (KLSHG) focuses on bee keeping and the production of honey in an ecological friendly way, maintaining a rich crop and tree diversity as a source of food for the bees (see box). Every year, the group produces an average of 2.5 tons of honey; half during the main harvest season (November to January) and half during the minor season (June and July). Trying out our PESA model, we started by identifying the market opportunities for this honey in the area. A smaller team of six members conducted a market chain assessment, trying to assess and understand the purchasing practices, the terms and conditions followed, and the main demands or interests of consumers. A “business market facilitator” from the Baraka Agricultural College helped making the initial contacts. After visiting and interacting with 4 supermarkets, 4 pharmacy shops and 3 hotels, the group secured many new orders to supply buyers with honey. Even more important, the process helped the group learn about the need of a stronger “business relationship” between producers and consumers, and the minimum conditions and requirements. Group members discovered the advantages of preparing a detailed business plan which includes adding value to their products, and thus expanding their market options. Furthermore, they saw the need to invest money in machinery or equipment, and the importance of their organisation to implement their plans. The PESA model has been tried for 12 months, and will continue for another 12 months. Although the pilot project is not yet finished, the initial results are very promising. 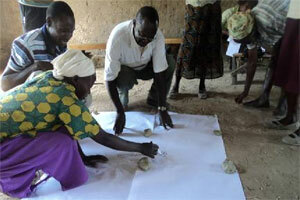 The knowledge and skills acquired by the KLSHG members through the 6-stage approach have empowered the group. During this period, KLSHG has shown that higher incomes and the conservation of an area’s biodiversity can be mutually supporting efforts. If these initial results prove to be indicative of the success of the approach, all 230 PELUM members will introduce and implement the model in their own specific context. In the meantime, the participatory process of learning by doing is already helping other organisations. The PELUM experience demonstrates that the participatory process of analysis, development and implementation of an innovative marketing approach is a powerful tool for positive change. Maryleen Micheni works as Senior Programme Officer at PELUM, Kenya. The “markets and trade” thematic group of the Agrobiodiversity@knowledged programme would like to invite readers to send case studies describing other marketing process. Focusing on agrobiodiversity products, these case studies should consider the financial returns, the commercial viability of the enterprise, or the emergence of public-private partnerships. These case studies need not only be success stories. Please send them to Maryleen Micheni (maryleen@pelum.net) and Willy Douma (wdouma@hivos.nl).